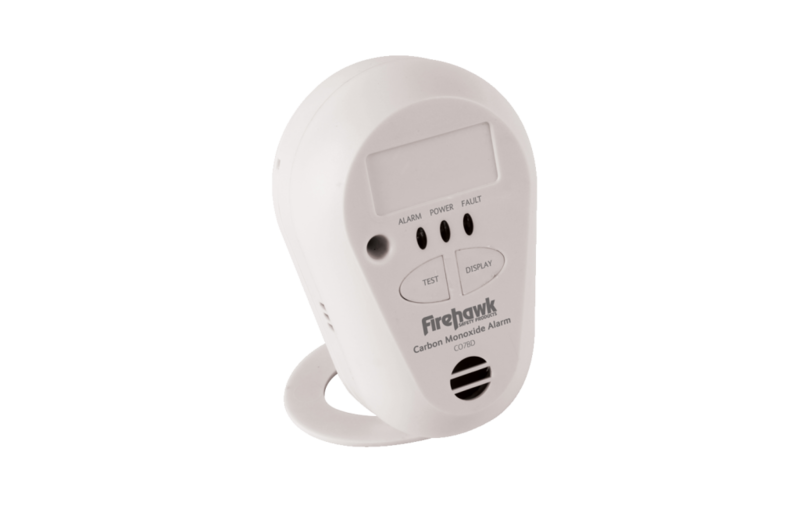 With a life span of 7 years (CO7B) The Firehawk CO7 battery-operated CO detector is compact and equipped with a special sensor which ensures reliable detection of koolmonoxide.Koolmonoxide is a highly toxic gas that is odorless and invisible. Small concentrations of carbon monoxide cause headaches and nausea. High concentrations are lethal for a short period! An early warning is necessary. Therefore it is very important to also smoke detectors in addition to placing CO alarms in a home. Sensotec is absolutely against the coupling of CO detectors with smoke or heat detectors. This is not recommended: a smoke or fire alarm namely asks another (opposite) reaction than a CO alarm. In a fire, it is important to close the windows and doors in order to prevent oxygen supply; at a CO alarm should just get extra ventilation. In addition, carbon monoxide is not to measure the ceiling. 7-year warranty on the sensor. Top quality Figaro electrochemical sensor ensures accuracy and long life. Versatile mounting system can be mounted on a substrate and used freestanding. End of life indicator, three short beeps every minute indicates the end of life on. Displays CO concentration in parts per million (ppm), peak CO content in. previous 12 hours and carboxyhemoglobin (COHb) percentage measurement. CO silence alarm for up to 10 minutes. Low Battery Warning. Beeps up to 10 hours. Ideal for night use.